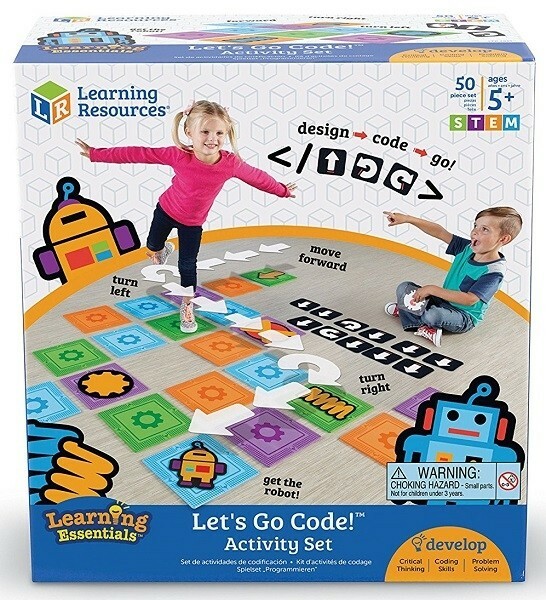 Help your little learners learn early coding concepts in this engaging, non-digital game. Children will hop, turn, step and jump their way across the activity mat as they practice their problem solving skills. 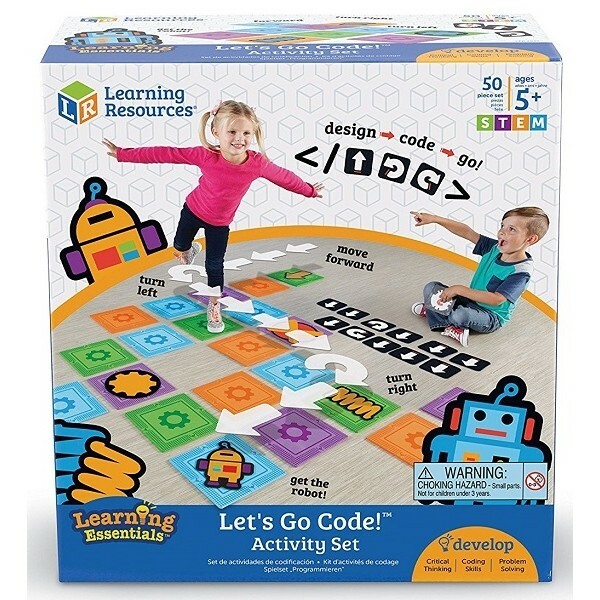 This step-by-step approach is the perfect way to help youngsters understand the basics of coding. Plus, they'll build their gross motor skills along the way. 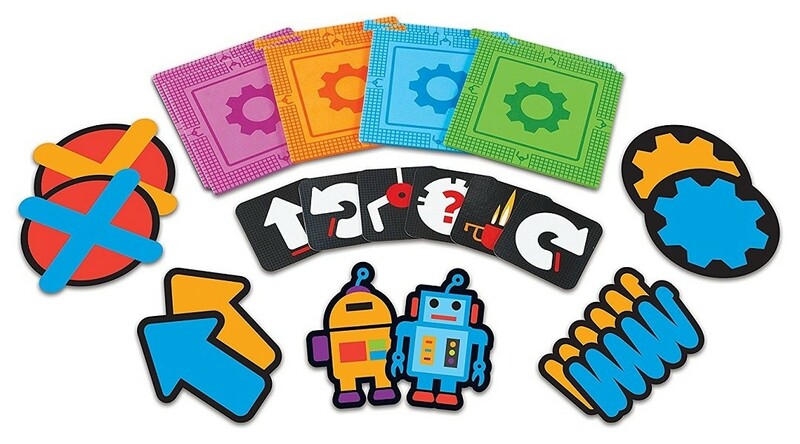 This engaging new set includes 16 EVA foam mats, 20 coding cards, and the following die-cut pieces: 2 robots, 2 gears, 2 springs, 2 arrows, and 2 Xs. The full-color guide covers a coding overview and provides maze samples. Color mats measure approximately 10" x 10".